Algae-derived products and technologies are on the cusp of changing nearly everything. Algae will transform how we eat; will make the materials in your shoes more sustainable; provide fuel for vehicles and planes; recycle greenhouse gases and deliver many more products that have yet to be commercialized. It sounds like a miracle. Far from it. There is a reason that algae is poised to make an outsized impact on consumer markets, low-carbon energy and sustainable solutions to global challenges: forward-looking investments in advanced algal technology from the public sector. While there’s no doubt that venture capital and strategic investments from major companies fuel much growth in the industry, it’s important to recognize the critical role that government funding has played (and still does play) in fueling this sector’s growth. For decades, agencies like the Departments of Energy and Agriculture, the National Science Foundation and others have been tasked by Congress to support the long-term innovations that will help build a more prosperous America. The recent wave of investment in algae technologies began in 2007, when Congress and the George W. Bush Administration enacted bipartisan legislation that rekindled an interest in developing advanced biofuels from non-food crops such as algae. It quickly became apparent that those technologies would have applications in food, animal nutrition and other markets that could be disrupted by the availability of a more sustainable, fast-growing, and nutrient-packed crop. In the decade since, the federal government’s investments in algae research and commercialization have led to transformational technology advances; game-changing product innovations; and, by our estimate, over $1 billion in private investments in U.S.-based research and development, agriculture and manufacturing infrastructure, and jobs. More recently, the formalization in 2017 of the Advanced Algal Systems sub-program under The U.S. Department of Energy’s Bioenergy Technologies Office (DOE/BETO) has further stimulated R&D, and promoted the sharing of results with industry and the public. A breakthrough harvesting technology developed by Global Algae Innovations(GAI) that has reduced energy inputs for algae harvesting and dewatering to less than one percent of energy output, and total end-to-end inputs to under five percent, yielding a highly positive net energy balance. The system is being now deployed at all five of the largest U.S. photosynthetic algae production facilities. A reduction in the modeled cost of algae biofuels production by over 90 percent in less than a decade, from more than $100 per gallon in 2008 to nearly $5 per gallon today. This significant improvement in cost also benefitted today’s non-fuel industries by reducing overall production costs. Synthetic Genomicsand ExxonMobil recently projected they will be technically capable of producing 10,000 barrels per day of algae biofuel by 2025, largely due to advances in synthetic biology research conducted at publicly funded universities and research institutions. With early support from DOE and USDA, one of the world’s largest algae production facilities is in full commercial operations in Columbus, New Mexico. The facility has brought high quality jobs and economic development to a region with one of the lowest median household incomes in the country. The facility’s operator, Qualitas Health, is now delivering algae-derived human nutrition productsto retail outlets across the nation, including Amazon and Sam’s Club. Algenol Biotech, one of the leading developers of algae production technology, reports that it is converting its integrated biorefinery developed with DOE supportto a commercial biorefinery manufacturing in a USDA Rural Area. In a comprehensive report released this month, the National Academies of Science (NAS) concludedthat algae and other microbial systems have “great potential for utilization of gaseous carbon waste” as a means to monetize waste carbon from power generation and industrial sites. Orlando Utilities Commissionin Florida and Duke Energyin Kentucky are working to develop carbon capture and use (CCU) technologies with support from Advanced Algal Systems funding and grants from the DOE’s Office of Fossil Energy. USDA-funded feedtrialsof algae-based fish and animal feeds help lay the groundwork for decisions to invest hundreds of millions in new algal oil production facilities in Clinton, Iowa (ADM Animal Nutrition), and Blair, Nebraska (DSM-Evonik). The vast majority of feed production from these facilities is targeted for export, supporting America’s balance of trade. Small Business Innovation Research (SBIR) grants from USDA, DOE and the National Science Foundation (NSF) have supported start up projects that are advancing the commercial development of algae small businesses in several states, including Iowa, Colorado, and California. One project has already commercialized the world’s first algae-derived ink, which is now enjoying a growing list of retailcustomers. These results are real. The steady pressure of scientific research and techno-economic analysis is leading to commercial successes, providing real jobs, improving America’s balance of trade, and jump-starting economic development in rural areas across the country. The goal of developing biofuels from algae has led to innovations that are making possible the algae-derived biomaterials, human and animal nutrition products, soil amendments, carbon capture and nutrient recovery systems we are reading about in the news today. More markets will see algae become a critical ingredient or platform as additional technical challenges are overcome, one by one. Continued progress offers the prospect for transformation on a national scale, but only if we keep up the pressure. The global leadership race is on. The European Union has launched several major algae research programs, and significant public and private investments in algae research and commercialization are being made in Japan, India, China and elsewhere. If the United States is to realize the full potential of algae technology we must do more than continue our existing investments in research and development. Policy support is needed to (1) ensure algae agriculture is eligible for the full suite of federal agriculture programs available to other key crops; (2) fund algae CCU demonstration projects at commercially relevant scales, as recommended by the recent National Academies report; and (3) ensure speedy regulatory approval of emerging algae-based animal feed and food ingredients. Algae’s new presence in so many products marks the awakening of new agricultural sector based on cutting-edge technologies with enormous potential. We must not squander the opportunity to build, and lead, this new global industry. 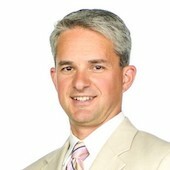 Matt Carr is Executive Director of the Algae Biomass Organization, the trade association for the U.S. algae industry.